Published in the South Kent Gazette, 25 June, 1980. Another, and a grander dream, was the proposed enclosure of Dover Bay to form a great National Harbour. Whether Henry VIII had a foresight of it, in commencing his now submerged pier, nobody knows, but it is on record that in the days of Queen Elizabeth Thomas Digges drew a plan for enclosing the whole Bay from the South Pier up to the Marine Parade, but, owing to its cost, it was abandoned. Nothing so great was dreamed of again until the dawn of the 19th century, when Mr Pitt, who was Prime Minister and Lord Warden of the Cinque Ports, became earnestly intent on having Dover Bay enclosed, and it was through his influence that there was obtained from the Master General of Ordnance the plan of a harbour in Dover Bay, drawn by Major-General Ford, of the Royal Engineers. Mr Pitt died without ever seeing the plan of the harbour, and those who followed him were too much engrossed with other matters, to advance the scheme. After the death of that great Lord Warden, the National Harbour remained for many years in the region of speculation. In 1837, a Parliamentary notice, signed by Messrs Yates and Turner, of 7, Great George Street, Westminster, was issued, of an intention to apply for an Act of Parliament, to authorise the making of a great harbour in Dover Bay, by enclosing an area, beginning at Shakespeare Cliff, and extending to the foot of the Castle Cliff; and to make piers, wharves, and jetties. Nothing came of that notice, except that it seems to have set the ball rolling. In 1840, a commission was appointed, of which Admiral Sir James Gordon was the chairman, to consider the question of constructing a harbour, or harbours of refuge, in the Channel, and that commission recommended the construction of a National harbour at Dover, the cost of which was roughly estimated at £2,000,000. A year later, Mr William Cubitt, C.E., drew a plan of two detached breakwaters, which he proposed to build in the Bay, with caissons, having an entrance in the centre. This was reported upon, in 1841, by Lieut-Colonel Robert Thomson, R.E., and Mr F. Beaufort, Hydrographer of the Admiralty, who approved generally of the plan, but required that the ends of the break-waters should be connected with the shore. That plan however, was not adopted, the whole matter of harbours of refuge being referred to Admiral Sir Byam Martin’s Commission, which sat in 1844, and recommended the formation of a National harbour at Dover, 520 acres in area. Several eminent engineers were requested to send in designs, and eight were received. 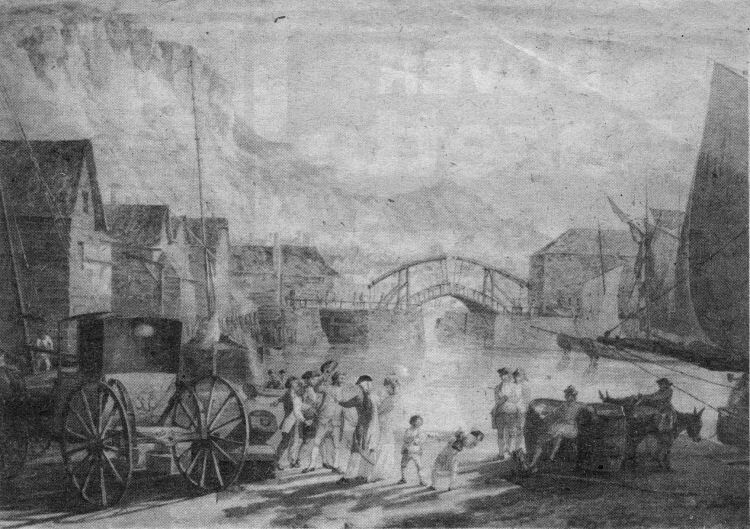 Eventually, Mr Walker, C.E., was entrusted with the designing of the harbour, which was commenced in 1847. That work, started from a point then known as Cheese-man’s Head, was intended to foe the western arm of the great harbour; but, long before that section was finished, the Government had abandoned the complete scheme of enclosure, contenting themselves with carrying the pier out to an extent of 2,100ft, which was finished in the year 1871. The total sum paid to the contractors for the work was £679,368, equal to £323 10s per foot. Later, a fort was built at the end of the Pier, with ^revolving turret, containing two 81-ton guns, that work costing an additional £150,000. The Admiralty Pier, as this great work was, and is still called, has been an enormous advantage to Dover, more especially because it provided landing stages for the cross-Channel steamers. 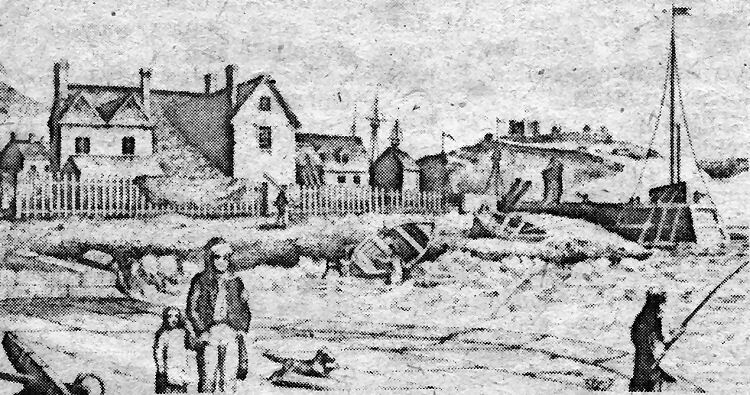 We have already detailed the ineffective measures taken by the townspeople to provide that accommodation, and their abandonment of the effort in 1847. As speedily as possible, the Admiralty Pier was made to answer that purpose, and it was first used on Saturday, the 14th June, 1851, when the Father Thames landed 50 passengers at the first landing stage. The first Channel steamer to use it was the Princess Alice, which landed 86 passengers on the 19th June, 1851. Previous to that date, the steamers arriving at low water had to land their passengers In small boats; and seeing that, at that time, passengers landing and embarking at Dover numbered 3,715 per week it may be easily imagined what a comfort that Pier was regarded by Continental travellers; while, on the other hand, it must have deprived boatmen of a lucrative employment. The verdict of successive Commissions having been given in favour of a great National harbour that would enclose the whole Bay, both national and local opinion repeatedly demanded a completion of the work. The agitation on this subject continued for many years, and from time to time hopes were raised of the National undertaking being resumed. During that period, ten schemes were put forward — Fowler and Abemethy’s, in 1870, for a harbour in the western Bay; Brough, Murray, and Hall’s in the same year, for a small harbour east of the Admiralty Pier; and, at the same time, Vignoles and Murray's scheme for a harbour west of the Pier; Fowler, Abemethy, and Wilson’s plans of 1872, for a harbour east of the Pier; Sir John Hawkshaw’s plan, in the same year, for a moderate-sized harbour to enclose the Bay, east of the Pier; Sir Andrew Clark’s scheme, in 1873, for an enclosure of the Bay extending a little beyond the Castle; Sir John Hawkshaw’s plan, revised, in 1875; a scheme of the Convict Labour Commission, in 1881, for a harbour nearly as extensive as the proposal of 1846; and a plan drawn by Mr Rowland Rees, in 1882, slightly smaller than the Convict Commission harbour. A colourful quayside scene at the Granville Dock looking towards the old Wellington Dock bridge entrance to the Great Pent. A painting by Thomas Hearne it does from the early 1800s. 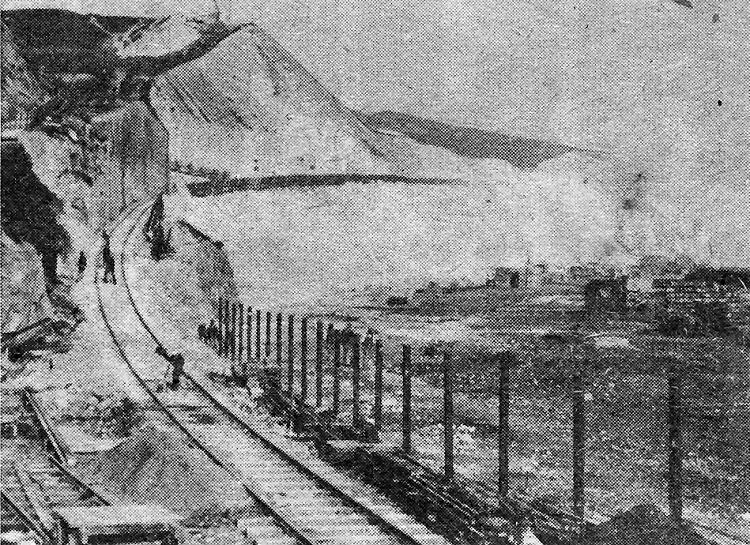 The above picture depicts work underway on the East Cliff railway built in connection with the construction of the Admiralty harbour. Cheeseman’s Head, with its small jetty built in the early 1700s, was the point at which work began on building the Admiralty Pier in 1848.